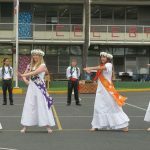 May Day was held on Friday, May 4th, 2018. 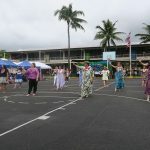 Despite predictions of thunder and lightning and rainfall, we were blessed with no rain during our performance and a lightly overcast sky made it quite comfortable to dance barefoot on the courtyard. 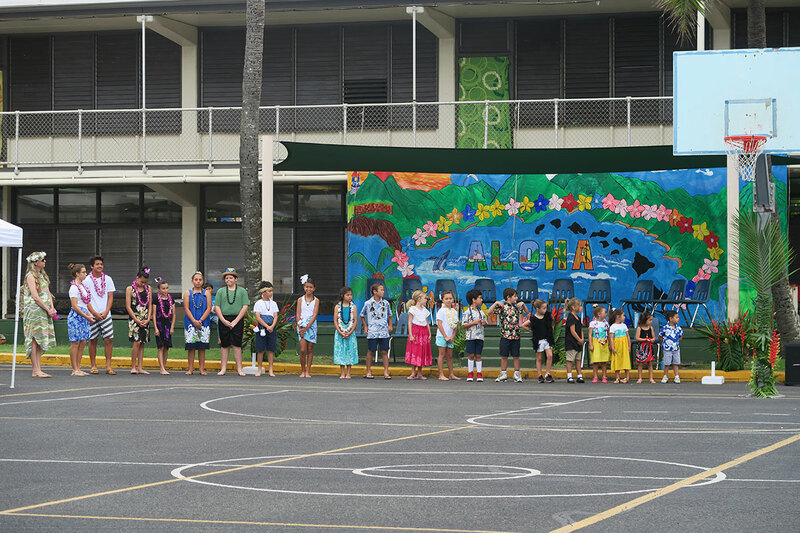 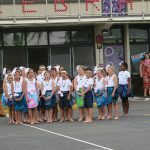 All the students participated by singing and dancing as we celebrated our Hawaiian culture. 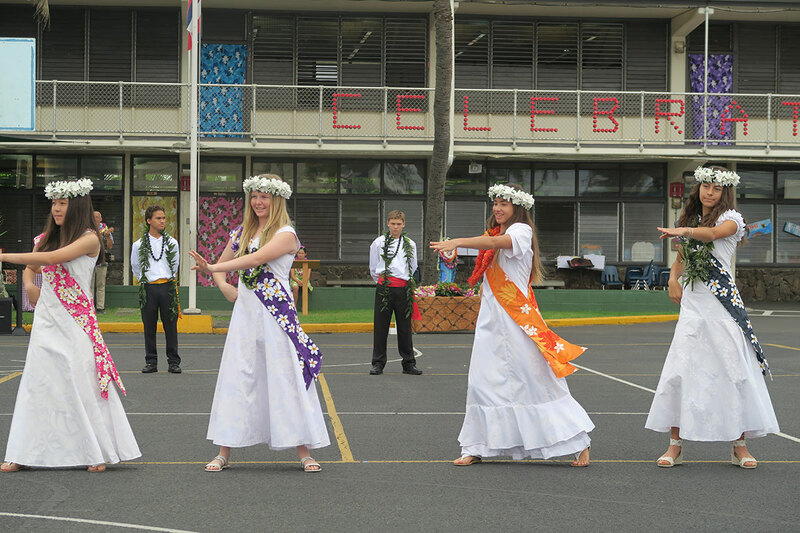 The performances were beautiful, colorful and entertaining. 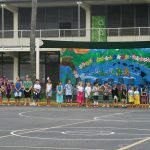 The littlest preschoolers did a great job singing and dancing to Pu Pu Hinu Hinu, and despite a little stage fright, everyone warmed up and participated. 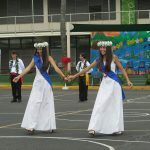 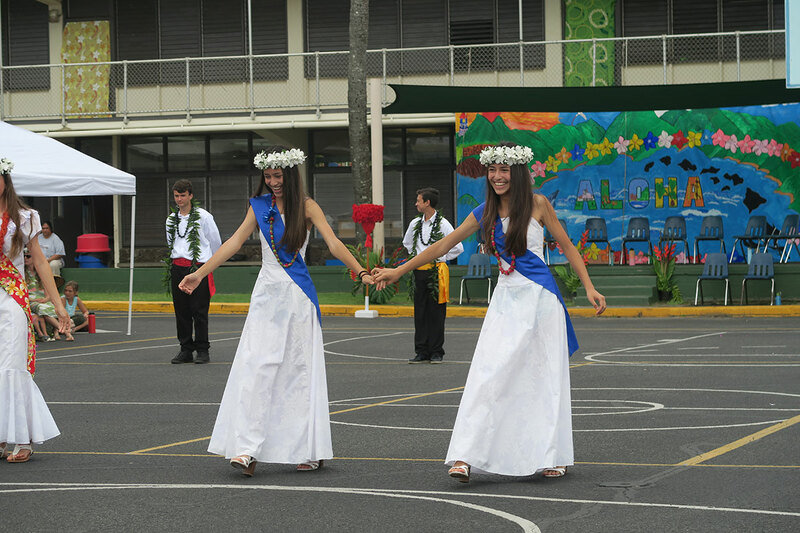 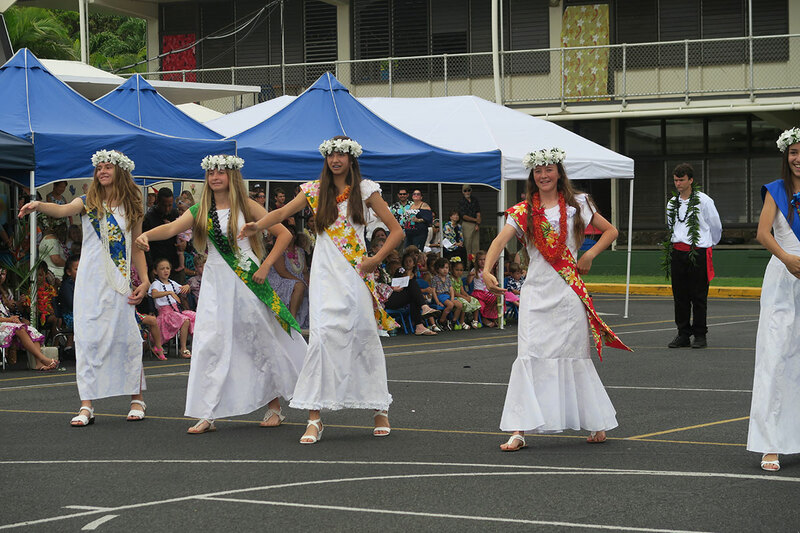 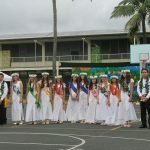 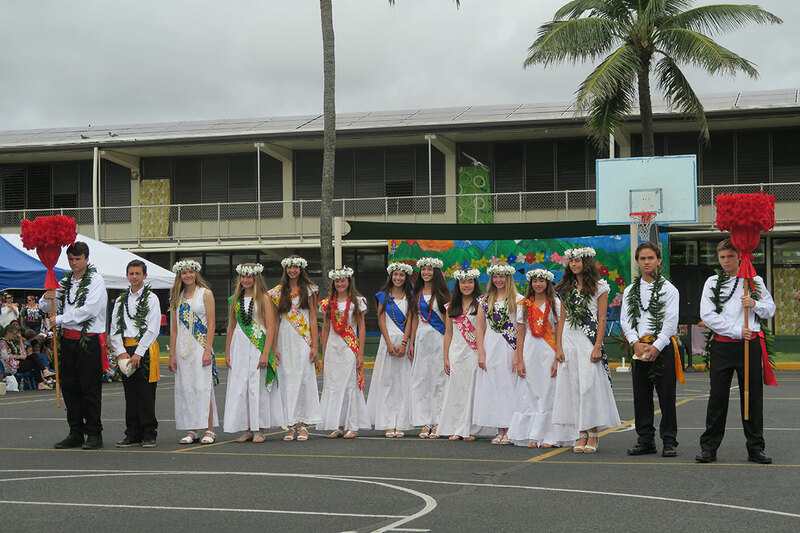 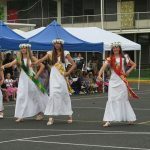 The eighth graders looked beautiful in their regal outfits and the girls in white graduation dresses and leis to match the islands they represented. 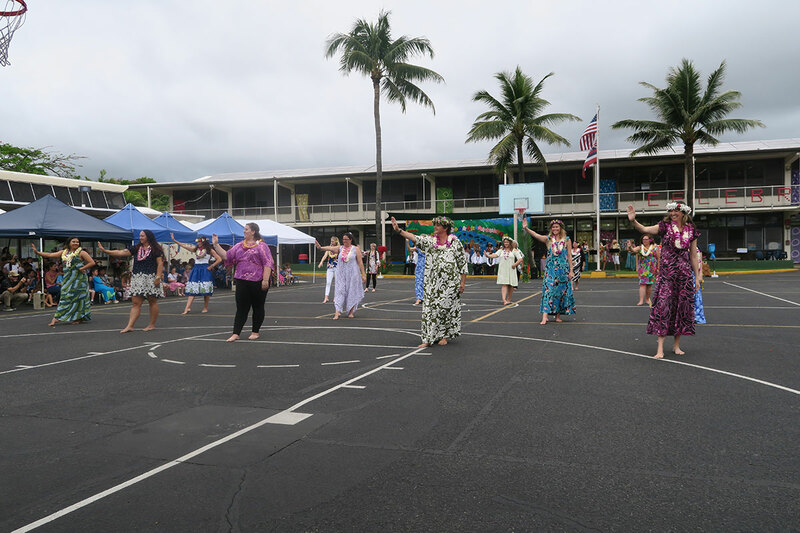 Some teachers played the ukulele and others danced to the song Kanaka Wai Wai, in memory of the school secretary Mrs. Carol Mau. 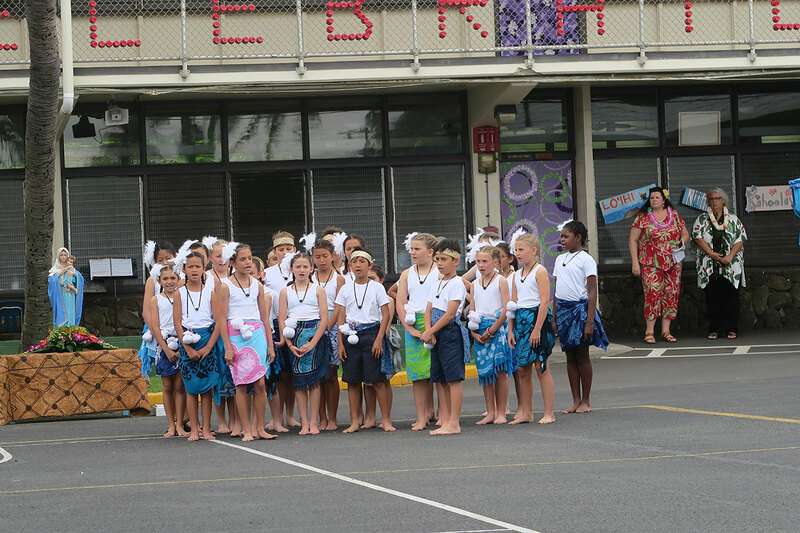 Thank you to all the parents for supporting us and coming out to join us on this memorable day!